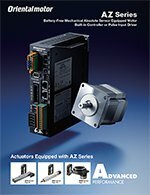 Stepper motors enable accurate positioning with ease. 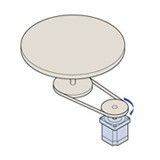 They are used in various types of equipment for accurate rotation angle and speed control using pulse signals. 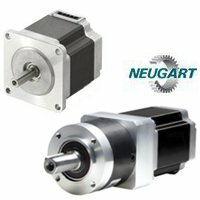 Stepper motors generate high torque with a compact body, and are ideal for quick acceleration and response. 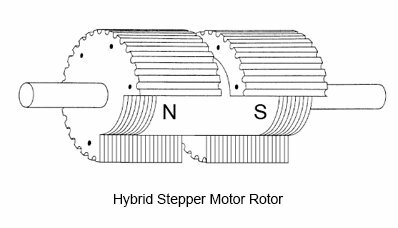 Stepper motors also hold their position at stop, due to their mechanical design. Stepper motor solutions consist of a driver (takes pulse signals in and converts them to motor motion) and a stepper motor. Oriental Motor offers a wide range of stepper motors including; AlphaStep closed loop stepper motors, 2-phase stepper motors and 5-phase stepper motors available in frame sizes from 0.79 in. (20 mm) up to 3.54 in. (90 mm). 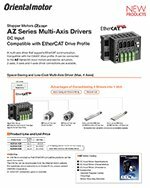 Five geared type stepper motor solutions, encoder and brake options and various motor windings are offered. 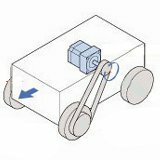 Stepper motor drivers convert pulse signals from the controller into motor motion to achieve precise positioning. 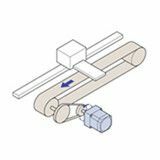 A stepper motor is used to achieve precise positioning via digital control. The motor operates by accurately synchronizing with the pulse signal output from the controller to the driver. 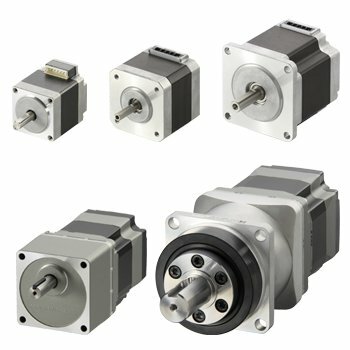 Stepper motors, with their ability to produce high torque at a low speed while minimizing vibration, are ideal for applications requiring quick positioning over a short distance. A stepper motor rotates with a fixed step angle, just like the second hand of a clock. This angle is called "basic step angle". 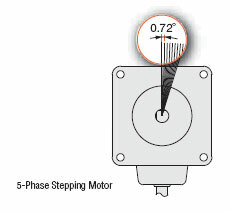 Oriental Motor offers stepper motors with a basic step angle of 0.36°, 0.72°, 0.9° and 1.8°. A system configuration for high accuracy positioning is shown below. 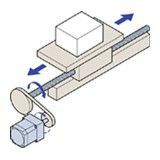 The rotation angle and speed of the stepper motor can be controlled with precise accuracy by using pulse signals from the controller. What is a Pulse Signal? 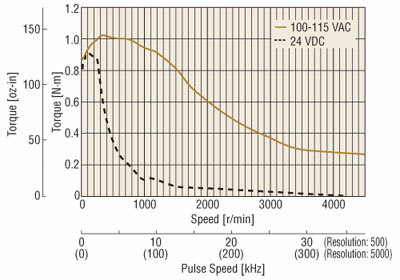 A pulse signal is an electrical signal whose voltage level changes repeatedly between ON and OFF. Each ON/OFF cycle is counted as one pulse. 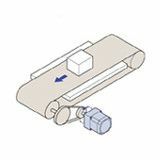 A command with one pulse causes the motor output shaft to turn by one step. The signal levels corresponding to voltage ON and OFF conditions are referred to as "H" and "L" respectively. 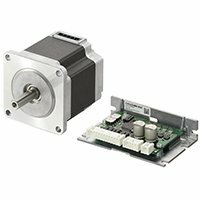 Stepper motors generate high torque with a compact body. 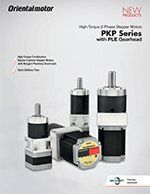 These features give them excellent acceleration and response, which in turn makes these motors well-suited for torque-demanding applications where the motor must start and stop frequently. To meet the need for greater torque at low speed, Oriental Motor also has geared motors combining compact design and high torque. 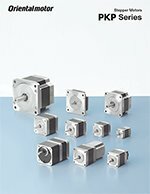 Stepper motors continue to generate holding torque even at standstill. 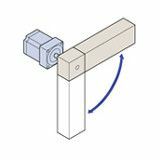 This means that the motor can be held at a stopped position without using a mechanical brake. Once the power is cut off, the self-holding torque of the motor is lost and the motor can no longer be held at the stopped position in vertical operations or when an external force is applied. 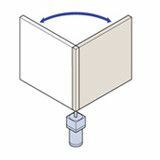 In lift and similar applications, use an electromagnetic brake type. The AlphaStep consists of stepper motor and driver products designed to draw out the maximum features of a stepper motor. 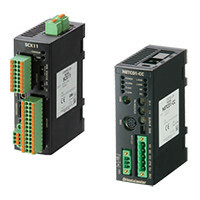 These products normally operate synchronously with pulse commands, but when a sudden acceleration or load change occurs, a unique control mode maintains positioning operation. 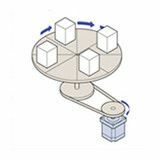 AlphaStep models can also output positioning completion and alarm signals, which increase the reliability of the equipment which they operate. 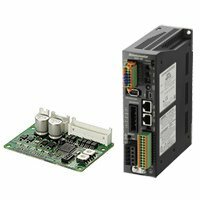 Each stepper motor and driver combines a stepper motor selected from various types, with a dedicated driver. Drivers that operate in the pulse input mode and built-in controller mode are available. You can select a desired combination according to the required operation system. The motor can be controlled using a pulse generator provided by the user. Operation data is input to the pulse generator beforehand. The user then selects the operation data on the host programmable controller, then inputs the operation command.